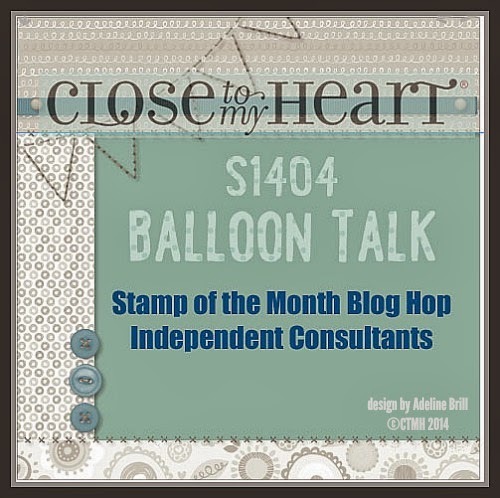 We will be featuring Close to My Heart's April SOTM, Balloon Talk, a set of 24 stamps with all sorts of fun captions for your scrapbook pages and card creations. If you have come here from Toni's Blog, you are on the right path! The blog hop is a great big circle, so you can start here and work your way all around. If you get lost along the way, you’ll find the complete list of participating consultants here at Melissa's blog. This month we have over 50 Close To My Heart Consultants sharing their creations using this month's SOTM and other great CTMH products on their blogs. Blog hopping is simple to do - just click on the link at the end of the post on each blog to move to the next one! For this blog hop, I challenged myself to find ways to use some of the captions on cards this month. Normally I would probably use this while creating a scrapbook page. It was fun finding other stamp sets to use with Balloon Talk. Using our Adhesive Springs, Z1725, added a cute pop to two of the cards as well. Coordinating the SOTM with the stamp set Dreamer, B1439, I created the first card with my granddaughter, Jadyn, in mind. I think I will make a set of these for her using her favorite colors with some of the other sayings from the SOTM as well. Additional products used: Twilight Cardstock, the Cotton Candy paper is from the Lollydoodle Paper pack, Twilight and Cotton Candy inks, Twilight marker, Adhesive Springs (Z1725), Flamingo Dots (Z1934), Aqua dots (Z1853), and Pink Glitter Paper (Z1922). Thinking ahead to CTMH convention time, I used the SOTM with Owls, B1450, to create a card that I will send to my husband while I'm in Anaheim. Additional Products used: Paper from Lollydoodle kit (x7183b), Cocoa ink, a retired Chocolate marker, Aqua Dots (z1853), Stitch Guide, (z1852), Foam Mat (z1859). I also used foam tape to pop the owls which were stamped on patterned paper from the Lollydoodle pack. I used a white gel pen to outline and color parts of the owls and Liquid Glass to make their eyes shine which you pobably can't see in this picture. Here's another card I designed with my 3 year old grandson, Gabe, in mind. This time I used the SOTM with Fast and Furious, D1541. I thought I could use it either as a birthday card, or as an invitation for a party. Additional products used: Ruby Cardstock, Slate, Pacifica, and Ruby inks, Triangle Studs (z1928) and Adhesive Springs (z1725). The little race car driver is just a free hand drawing. Thanks for visiting my blog. Hope you found some inspiration here and that you will stop back another time. Now "hop" on over to Pam's Blog to see what she has created this month! Be sure to visit all the consultant's blogs to get some great crafting inspiration! Remember, the April's SOTM is only available until April 30th! Contact your CTMH consultant (or click here) to get this stamp set for $17.95 or only $5 with a qualifying order. Get this kit packed with over $300 in product for ONLY $99! 3-D and flat flowers, borders, cards/envelopes, 3-D items, font, etc. 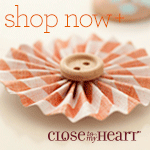 I have all three of these wonderful collections and use them weekly in my own crafting and for my CTMH workshops. 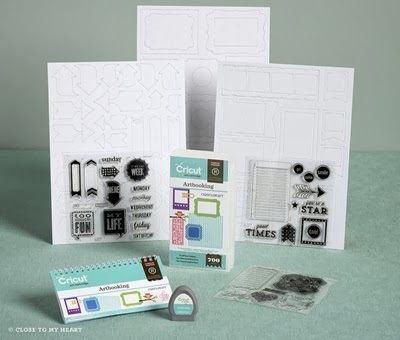 So why not get your own CTMH Cricut Collection and start your adventure as a CTMH independent consultant soon? Build a business of your own with the possibility of wonderful incentive trips all while doing something you love! 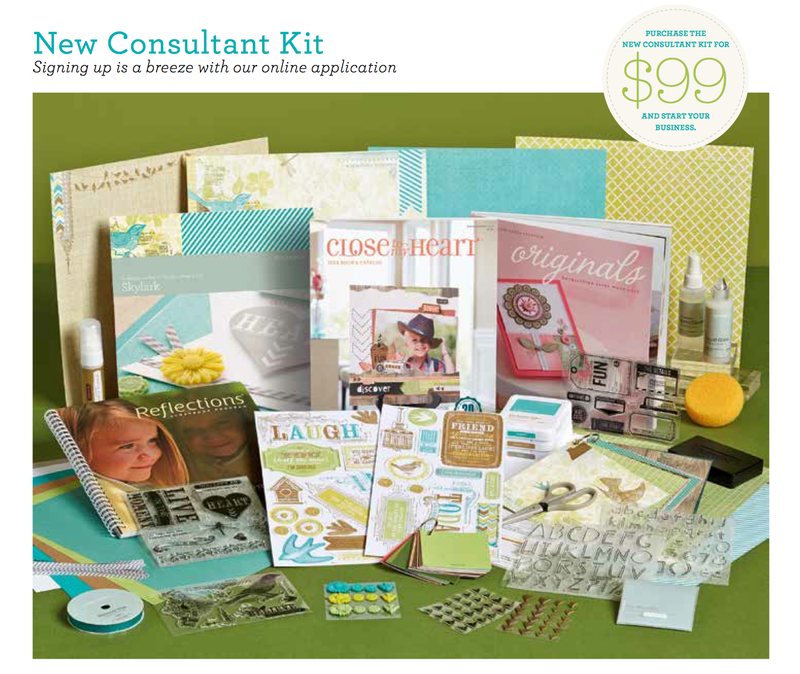 Click here for more information about the New Consultant Kit and a link to videos about joining Close To My Heart. Contact me if you would like to talk about the fun I have had over my past 9 1/2 years as a CTMH consultant. Remember, this special offer begins April 1, 2014. Please email or call to register for Free workshop on March 6th. Bring laptop with 10 – 12 uploaded photos. this month due to foot surgery, sorry. 3 double layouts using CTMH Skylark paper – Pre-order supplies no later than 3/17. $1 per hour, $3 for lunch, $3 for supper – Reserve your spot by 3/26. 10 spots available. to order your Studio J projects for $5. For evening scrap (3/27) workshop, you may come later than 5:30 if you wish. Club orders due by Friday, March 28th. Watch this video to find out about the super special for this month. Free workshop - Thursday, March 6, 6:30 p.m.
Bring your laptop with some of your favorite pictures uploaded, and I will walk you through seeing just what you can do with Studio J. If you like what you see, and I'm sure you will, this is the month to take advantage of this wonderful special. If this time doesn't work for you, contact me, and we can set up a time to get together and explore the advantages of Studio J. The SOTM for March is Happy Place, a set of seven stamps featuring darling stacking dolls and heartfelt sayings about home. I chose to create a double page layout using sayings from this month's SOTM. Here's a close-up of the stamps I used from this SOTM and the cuts from the Art Philosophy and Artbooking Cartridges. Products Used: Sarita Paper pack, Artbooking Cartridge, Art Philosophy Cartridge, Crystal Blue Cardstock, Gypsy cardstock and retired stamp set D1477 Universal Backgrounds Flair was used to create the meshy background. I tried to mimic the background in the pattern paper. Inks used were Outdoor Denim and Crystal Blue. Remember, the March SOTM is only available until March 31rst! You can purchase the stamp set at full price for $17.95, but did you know that you can get the set for just $5 with a $50 qualifying order? Contact me now (click here) to get your own Happy Place Stamp of the Month.